Since the dawn of fashion, the Little Black Dress has been a classic fashion staple, a wardrobe necessity in every woman's closet. When we began creating clothes for Lousje & Bean we knew that we needed to create an LBD for the everywoman, one that would be both flattering and versatile and could be worn for years to come. The Cora Dress was created as part of our Essentials line for this very purpose. A 3/4 sleeve version of our Tank Dress, this piece is a wardrobe workhorse and a great foundation for layering. If you are looking for the perfect LBD to add to your wardrobe, look no further. We will show you three great ways to wear this dress this fall and winter to kick the season off in style. 1. Our Cora Dress layered under our new Flick Vest and topped with a Rim Belt. This look is effortlessly chic and casual but provides a pop of colour to stand out from the crowd. 2. A great evening look, this outfit pairs our Cora Dress again with a Rim Belt and a beautiful scarf. Grab your favourite scarf from your wardrobe or shop here or our scarf wall in the shop for something fresh and new! 3. This transitional look will take you anywhere day or night. Here our Cora Dress is the base piece under our Red Dot Vest and is topped with a necklace from the shop that dresses it up and completes the look. 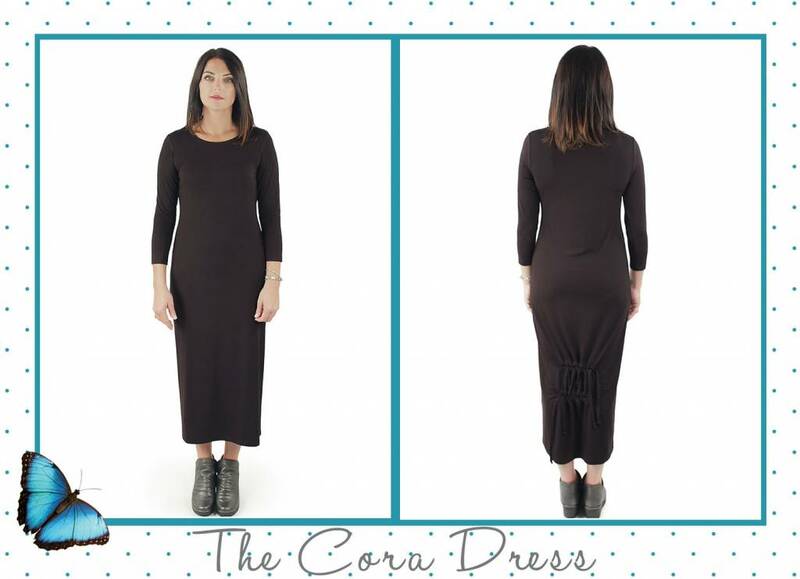 These are just three simple ways to wear your Cora Dress, but we also love to pair it with a Rosie Sweater in black for a monochromatic look or one of our Tunics for a long and lean effect. We are confident this dress will be your new go-to LBD and you will look amazing front and back with the surprise detailing from behind!